I haven’t been able to count the number of D1 events that I’ve attended over the years on my fingers in a very long time, and even so, I was still gutted to have missed out on making the pilgrimage from Auckland to the nation's capital for the opening round of the Link ECU D1NZ National Drifting Championship. 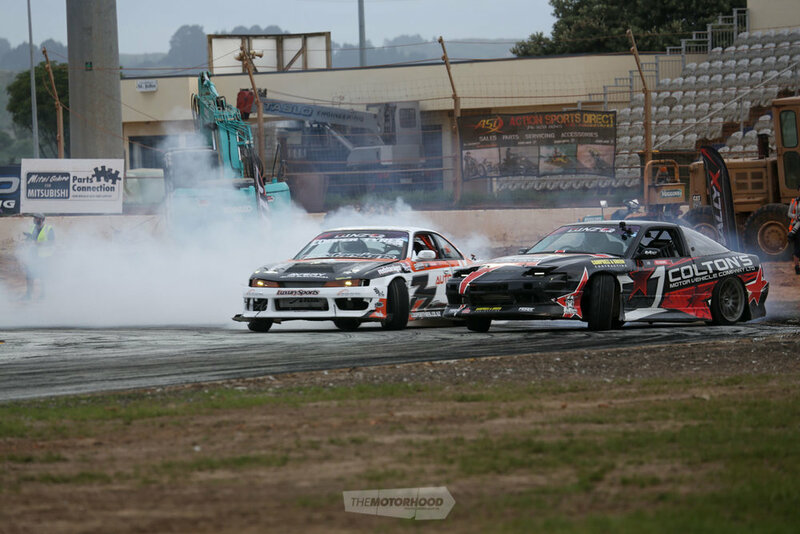 It left me fiending for my first drift fix of 2018, so I made damn well sure that come time for round two, my weekend was wide open to hit blast my way to Tauranga for the season staple that is ASB Baypark. It’s a venue that I attended the same time last year for the inaugural stadium track and it was evident that those behind the track layout had put a lot more time into how things would flow, taking into account the kinds of lines, angles, and speed the judges would be looking for with a track of this size and structure. But it would be exactly that which became a topic of debate following the event, centreing around how punters watch and interpret battles. It was clear to see that those who were buying tickets valued proximity during battles over maintaining line and, to a degree, angle, and felt that those who drive aggressively on the lead car’s door should be rewarded for their efforts — evidenced by the absolute roaring from the crowd during the Cole Armstrong versus, well, everyone, battles. So the question that is then proposed is, do the rules need to be adjusted to favour proximity over line for the chase car in order for punters to better understand how a battle has gone? Ultimately, proximity is the easiest factor for punters to understand. Seeing a chase car go door-to-door with the lead car the whole run creates looks like they’ve done enough to win. However, my answer is no. Proximity shouldn’t be favoured over the existing criteria. Although where a lead car is throwing down a run that meets the line, speed, and angle that the judges have asked for, and the chase car is matching that same line, speed, and angle, from there proximity should be rewarded for the chase car. If a chase car is shallowing out or diving off line and forgoing angle to gain proximity, then it should have points deducted. Line is not only important for a lead car to score well but for a chase car, too, as, without emphasis on maintaining line, the lead car could drive as shallowly as it can, making it near-on impossible to throw down a good chase run, which ends up looking messy for both cars and boring for those watching. A good line sets up and allows for a good chase, as the chase driver can anticipate where the lead car should be, and push even harder through the smokescreen to maintain that proximity. I think that most people will agree with that, and what’s funny is that this is exactly how the current rules are written. I think it falls down to communication with the audience: people felt a disconnect between what they saw and how that was ultimately scored. Perhaps the solution can be found by looking at international series, where the likes of the Irish Drifting Championship and many Japanese competitions have judges on the mic, ready to spit-out a quick run through on how they’ve scored, before announcing the winner and moving onto the next battle; or having the scores displayed alongside quick notes — too shallow, off line, straight-lined, etc. — on the big screen at the track for those who cannot hear what’s going on. The information is there on the fly already, recorded on live documents that teams have access to, so communicating that same information to the crowd will clear up some confusion, even if only a little. None of this meant to take away from the solid job and hard calls the judges had to make over the weekend or the mammoth effort put in by all of the behind-the-scenes crew to make it happen. I just want to see competition drifting here continue to thrive as it currently is, and for the crowds to keep crowds coming back. 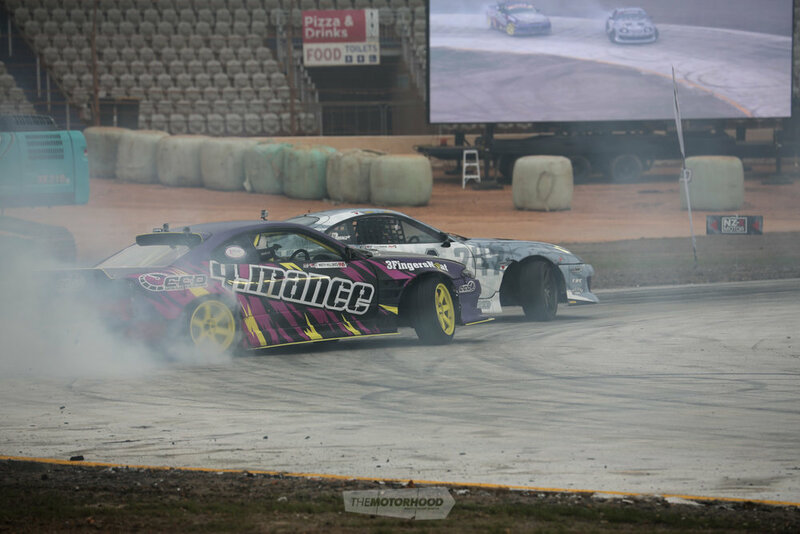 And regardless of these afterthoughts, Baypark 2018 was a massive dose of drifting that would leave even the most seasoned fiend feeling satisfied. 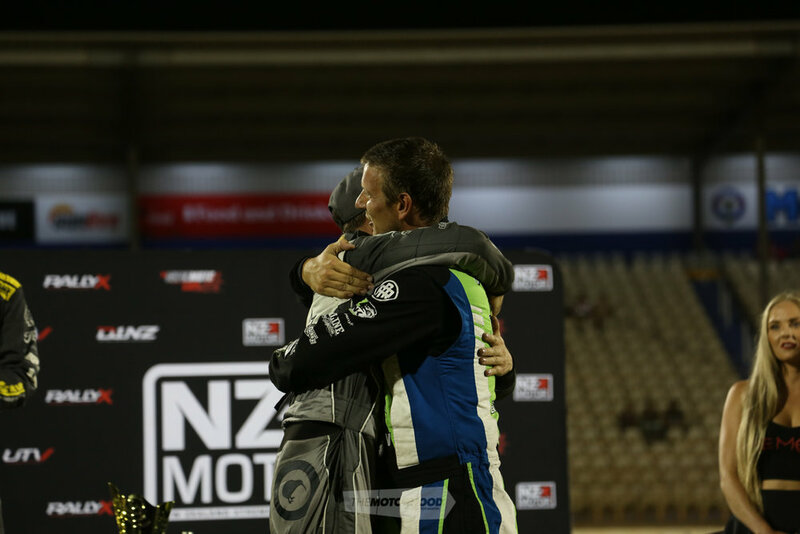 The battles were on-form and congratulations are in order for Drew Donovan who took home his first D1NZ round win in the Pro series — with a special mention to Cole Armstrong for leading the most aggressive succession of battles that we’ve been given the pleasure of viewing for a fair while. And congratulations to Jordy Cole for claiming his first Pro-Sport podium with a round win, too. If this is what we’re seeing only two rounds into the season, it's going to be perhaps one of the healthiest seasons in recent years and with the way the points are looking so far, we may see some big upsets come the finale. Who's your money on?